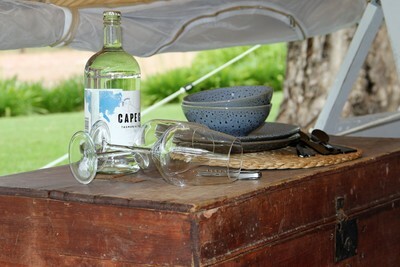 For those who seek a unique experience & adventure, we provide a beautifully designed free-standing bush luxury Wildflower Bell Tent, in the most gorgeous setting. 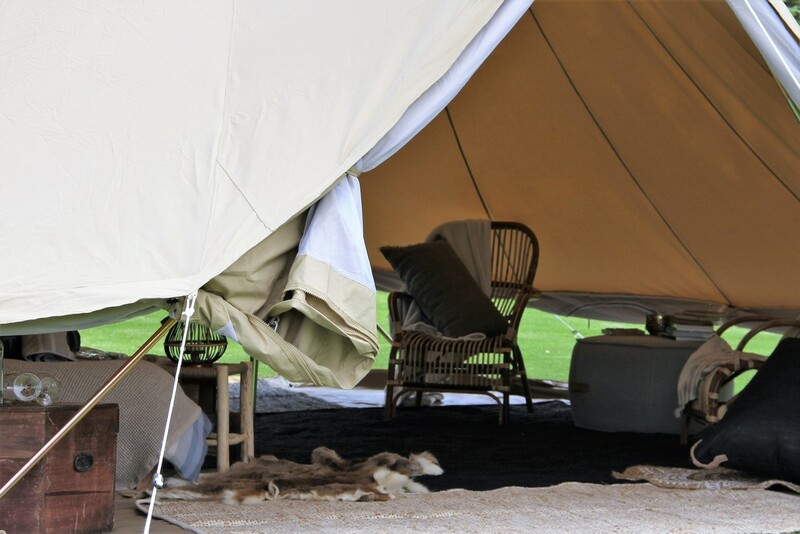 Each tent is surprisingly spacious at 6 meters in diameter and comes complete with 2 x double door entrances and a 360 degree screen providing closeness to the wilderness with all the romance of the ultimate hideaway. 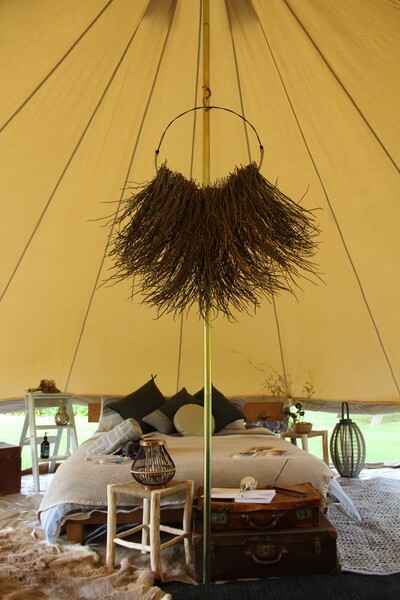 Natural colours and materials have been sourced and utilised to reflect the surrounding environment whilst spoiling our guests with luxury bedding and premium furnishings. 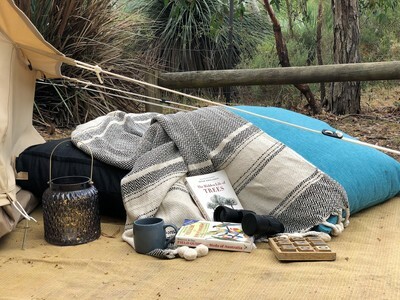 100% Woollen Quilt to keep you warm on cooler nights & cooler on those warmer nights. 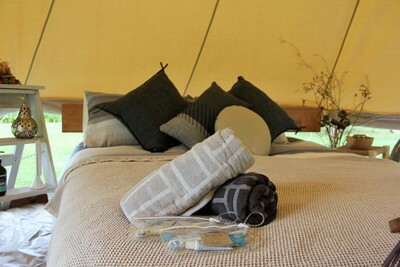 Our onsite Luxury Glamping Tent is located in the most picturesque and desired location in Wirrina Cove Holiday Park. It allows a unique environment that is secluded from the rest of the Park whilst retaining it gorgeous rugged beauty.